Taipei, Taiwan, March 24, 2011 - GIGABYTE TECHNOLOGY Co., Ltd, a leading manufacturer of motherboards, graphics cards and computing hardware solutions today officially announced the availability of the 3TB+ Unlock Utility that allows GIGABYTE motherboards without Hybrid EFI Technology to recognize and use unallocated space on new 3TB and larger hard disc drives (HDDs). The utility is freely available from the utilities page of the official GIGABYTE website: http://www.gigabyte.com/support-downloads/Utility.aspx. 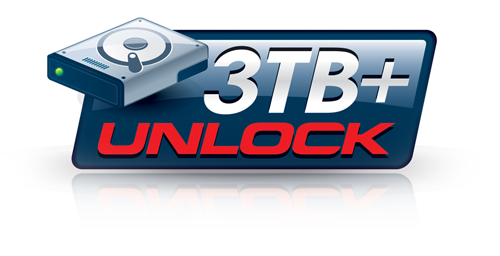 3TB+ Unlock currently supports new high-end motherboard models based on the Intel® X58, Intel® 6 series and AMD 8 series chipsets, and is in the process of being ported to older chipset models so that it will support all motherboards that are currently shipping. For more information about GIGABYTE 3TB+ Unlock and other exciting GIGABYTE motherboard technologies, please visit the official GIGABYTE website and the GIGABYTE Tech Daily Blog.